First things first, what is a spirit animal? In this case, a spirit animal is an animal that embodies your personality and characteristics. For instance, if you tend to be on the limber and quiet side, your spirit animal may very well be a cat. If you tend to be more energized and playful, your spirit animal could lean towards a dog. However, spirit animals are not restricted to only being types of animals. Throughout the web, people identify with various movie stars and musicians, along with a myriad of different television and book characters, and label these individuals as their spirit animal. Your spirit animal just has to be something or someone that you identify with and relate to on a deep level. If you’re the go-getter, nothing-can-stop-me type, your spirit animal could be Rachel from Glee. If you’re a raging feminist and supporter of equal rights, you may see Emma Watson as your spirit animal. The possibilities are endless. If you’re having trouble deciding what your spirit animal is, keep reading for some tips based on your zodiac sign. 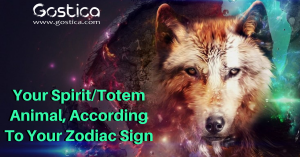 Each sign has different traits that assist in determining who or what fits best as your spirit animal. 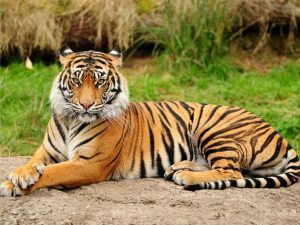 If you are an Aries, your spirit animal is the tiger. Aries individuals tend to be fierce, fast, and intelligent. They do not allow themselves to be stepped on or interrupted. They focus on exploring the world and discovering new things, people, and places. They do not tolerate people getting in their way because they are determined to control their circumstances. Aries are energetic and adventurous, as well as always ready to take on any challenge that comes their way. Taurus has a fiery temper, much like their spirit animal–the bull. They take what they want and aren’t afraid to charge into confrontations. They are bold and ready to fight for their desires and goals, even if it’s not an easy battle. They are unstoppable and unwilling to change their minds to suit someone else. They are stubborn and strong-willed, both traits that help them achieve what they want. 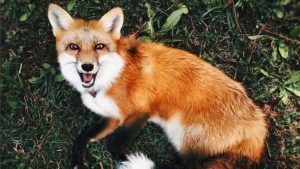 Gemini individuals are lucky enough to have the fox as their spirit animal. This is because Geminis are notorious for being curious and eager to adventure into new places. Geminis are also known to be gentle creatures, prone to showing affection. They are also shown to have an active side, and they tend to get restless. They are similar to foxes in the sense that appearances can be deceiving. They look cute and innocent on the outside, but they can be intelligent and sneaky. 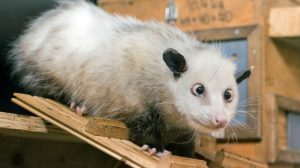 Cancerians feature the ability to adapt to their surroundings, much like their spirit animal– the possum. They are versatile at coping with various environments. Cancers are also nocturnal and prefer solitude over social situations. They are secretive and frequently find themselves staying up all night and sleeping all day because they work best during the nighttime. They enjoy their alone time. Possums are known to avoid human interaction and other species, much like Cancers. However, Cancers are also very affectionate and caring towards those that they love and care about. Leos are fond of the attention being on them. Because of this, Leos have the spirit animal of a peacock. 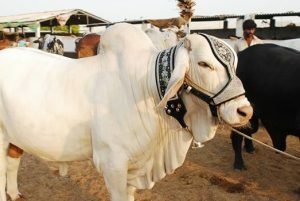 They are beautiful and fond of showing off their looks, talents, and personalities. Leos are cautious about maintaining their looks and reputations and care deeply about how they present themselves to others. 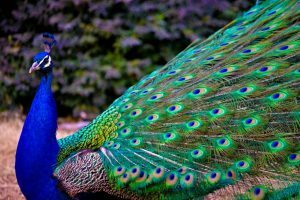 Leos are careful to portray themselves positively, making the peacock the perfect spirit animal for them.They love having eyes on them, and they know all the ways to get the attention they crave. Why there is no mention of aries totem animal,really disappointed.